Raif Hyseni hails from The Republic of Kosova, which has a large Albanian majority. He grew up in the town of Mitrovicë, where he studied accordion at music school and performed in amateur ensembles. Before moving to Tiranë in 1992, Raif was a well-known radio and television performer in Kosova’s capital city Prishtinë, where he performed with legendary violinist Isak Mucolli. 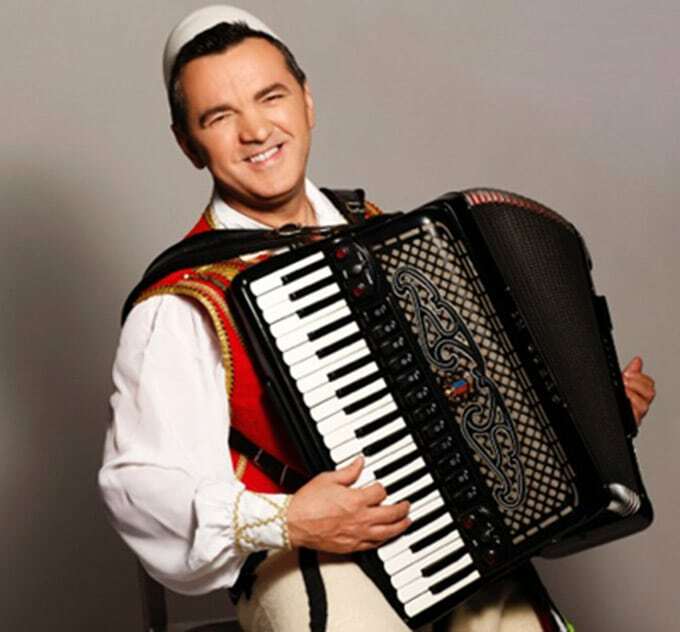 Through his recordings and media appearances, Raif has become known as a major innovator on the accordion, for which he has composed dozens of instrumental melodies and songs. Raif holds a Master’s degree in music from Montclair State University. He has written music for accordion, as well as songs, theater, and documentary movies. In 2014 at Montclair State Raif founded and continues to head the Balkan-Albanian Ensemble, the first of its kind at a institute of higher education. Raif and his wife, singer Merita Halili, emigrated to the United States in 1995, and now make their home in Caldwell, New Jersey. They perform frequently around the country on numerous stages, festivals and at community weddings.